I am using a CoreXY machine with a Duet 0.8.5 board and am suffering from what appear to be vertical lines, ribbing, or pulsing artifacts. This only occurs at lower speeds, and almost completely disappears when printing at high speeds (100mm/s or so). Can anyone shed any light on what might be causing this? I have tried running the extruder motor at a variety of lower amperages with seemingly no affect on the lines, although these are not scientific tests. Are those lines on all four sides? Make it easier for everyone else to see. I have never seen anything like that, so hopefully someone will chime in. What are you M201, M203 and M566 settings? Try cutting all of your M201 numbers in half. Yeah, tried that, still no luck. The issue actually becomes worse the slower the machine prints. It's really odd. It could be friction in the printer mechanics. Command a long slow movement in the X or the Y direction, and watch the movement to see if it is smooth. What are the X and Y steps/mm of your printer? I have not seen this before either, except on corners when the acceleration is not tuned well to the printer mechanics. How does printing in different layer heights change it? Those pictures were 0.1 layer height. In that case it could be extruder pulsing, which you get with the low steps/mm of ungeared extruders. Divide the filament cross sectional area by the layer height, extrusion width, and extruder steps/mm. That will give you the extrusion distance per extruder microstep. Compare that with the separation of the ridges. 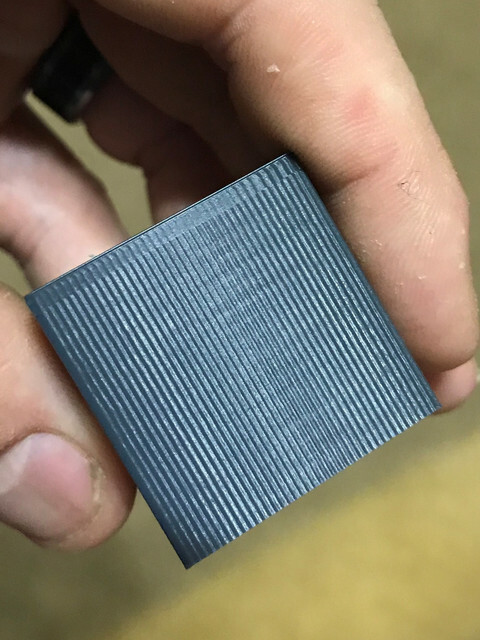 Another test worth doing on a CoreXY machine is to rotate the cube 45 degrees about the Z axis and see whether the ridges are still there. 43.96 steps/mm is lower than any printer I have ever seen for X/Y axes. Has the printer been modified? That is how it comes from the factory. It uses a spectra string drive setup. 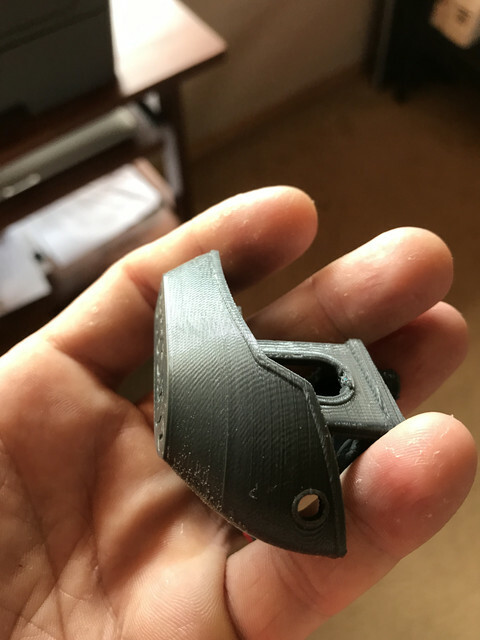 I printed a 3D benchy rotated at 45 degrees and it does make a massive difference in quality. Given this discovery what does this point the problem to? I am only posting this since it's pretty close to what I am reading. Thanks for the tip. I could try loosening up the string tension. The principle should be the same as a belt.